You come across so many fun street corners in Palm Beach. From striped awnings to colorful buildings, there’s no shortage of beautiful spots on the island. How adorable is this top?! 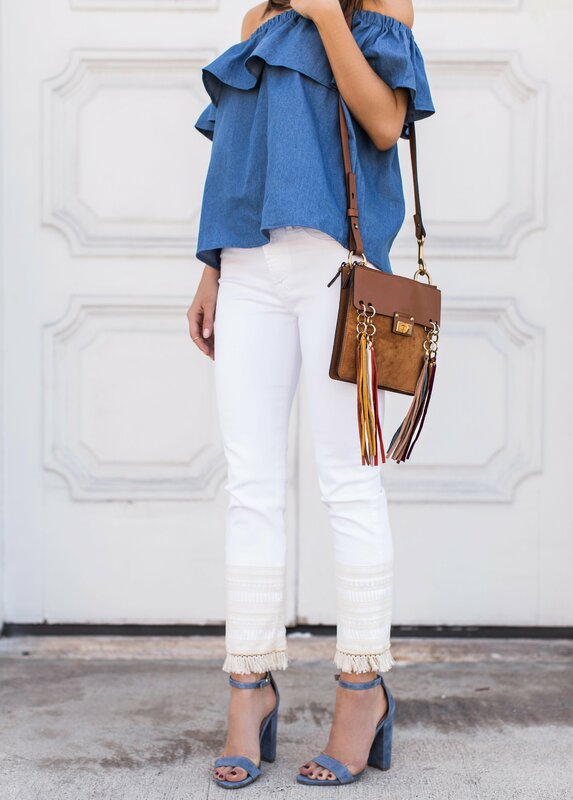 I’m usually pretty picky when it comes to white jeans. It’s not easy to find jeans that fit my small frame. However, I recently spotted this 7 For All Mankind pair and knew within 20 seconds of trying them on that they were so perfect for me. They’re skinny, cropped and fit great (I’m wearing a size 24). I also love how they have a fringe lace hem at the bottom. You can wear them with heeled sandals (as pictured) or with gladiators. 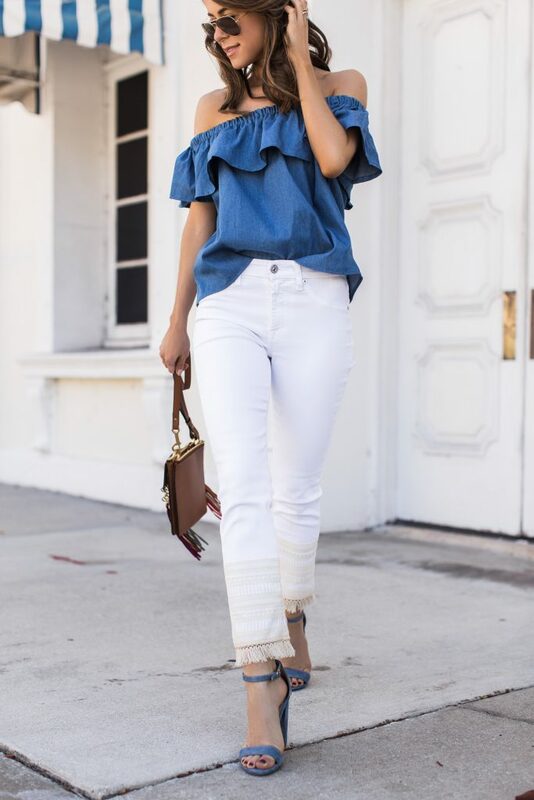 I paired my jeans with a simple off-the-shoulder top. I know I’ve worn this style a million times but I can’t get enough of it! It feels so feminine! I love it! 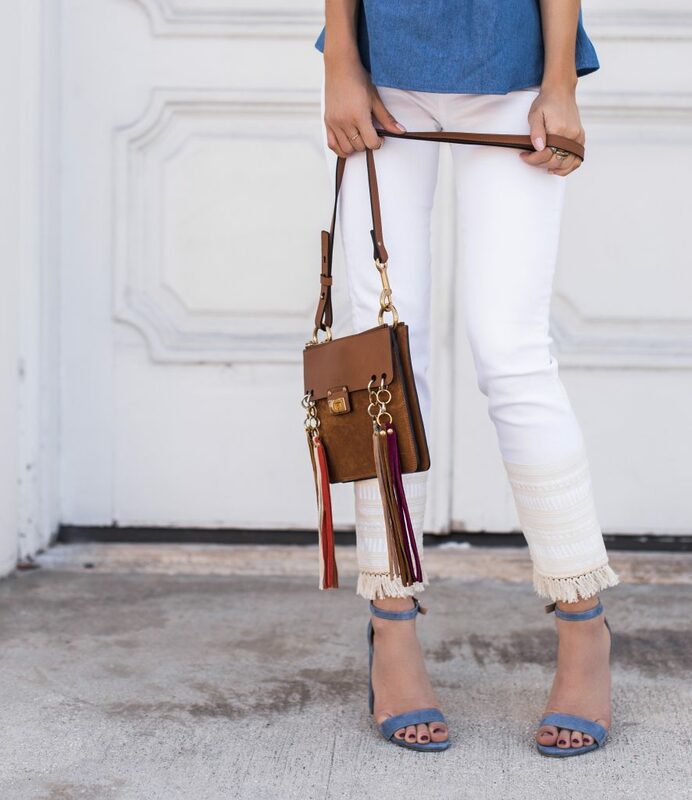 This Chloé ‘Jane’ shoulder bag from Neiman Marcus is definitely a must-have. It’s also one of my favorites because it’s so luxe and looks great with everything in my closet! 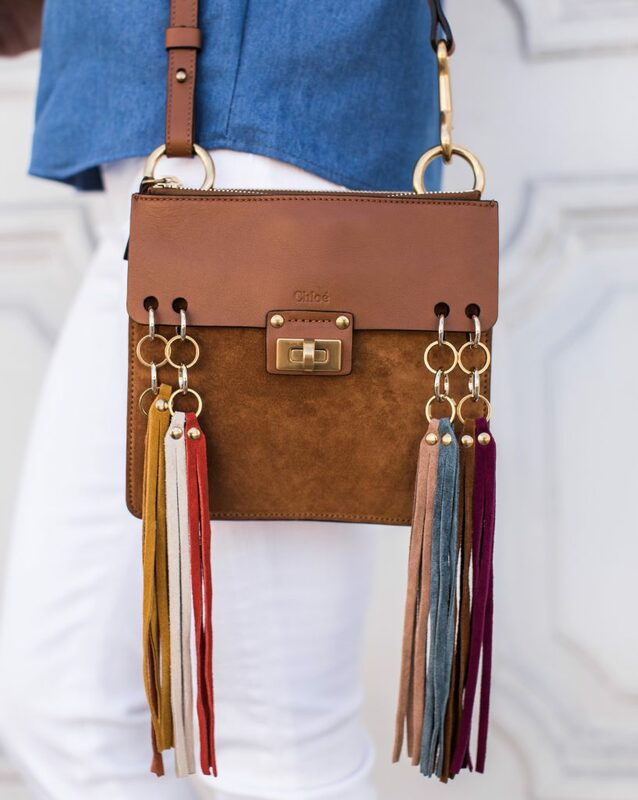 Crafted from suede and leather with a super slim profile, it’s finished with gold rings and colorful tassels. 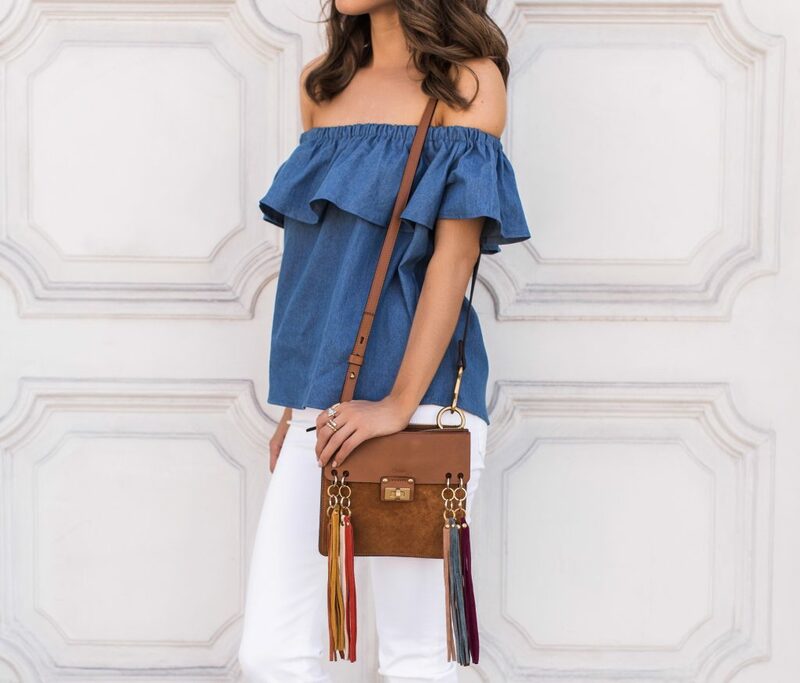 Drape it over one shoulder with a breezy maxi dress and flats or wrap the strap around your hand. LOL, omg – I know it’s a problem but I LOVE them so much!